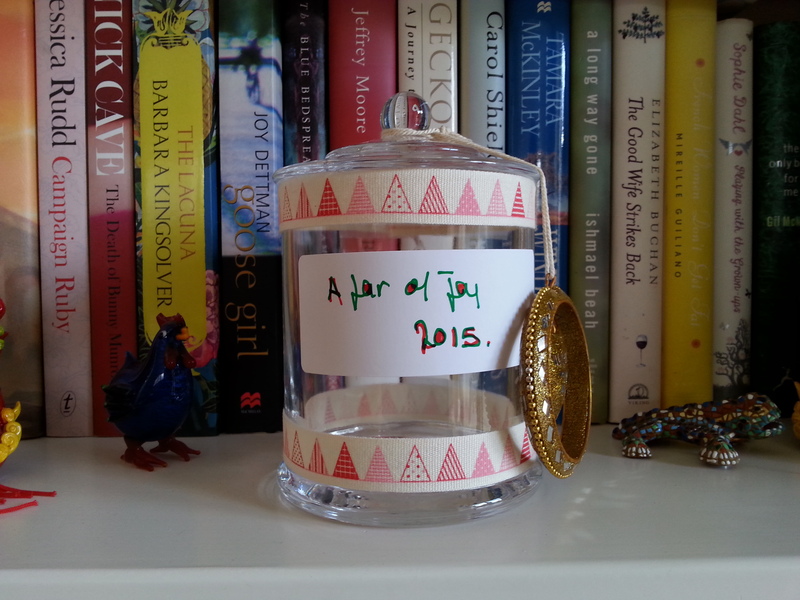 A jar of joy is a way to capture the great and kind things that happen throughout the year. So often we can become stuck in the negative or a sense that a year might be full of wobbles (I should know, 2014 was a wobbly year for me). By jotting down the joyfulness of the year and saving these snippets and notes, we can be surprised by the amount of happiness that is spread across the year. On 31 December grab a cup of tea (or a glass of champagne) and peacefully read through your joyous year. Enjoy the fun of this and lets share our happiness.